I know it’s been a while since you’ve heard from me. OK, it’s been several decades. But, hey, who’s counting? Anyway, you did me proud all those years ago. A doll every year. Imagine! Even when I started cutting their hair off, you still sent me a doll the following year. Albeit with short hair which was, frankly, a bit boring. Nothing to cut off, see? Nevertheless, I am turning to you once again after Mr. SipSwoosh declared he didn’t know what to get me for Christmas. 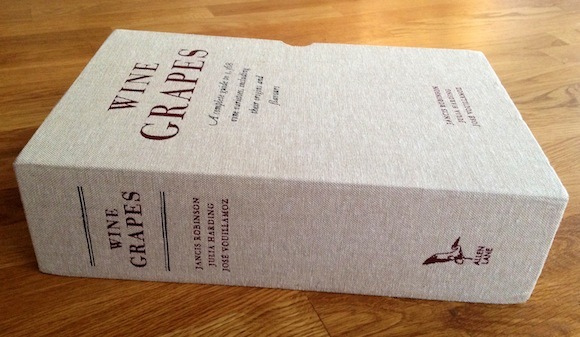 Well, he did have a plan to buy me a copy of the wine geek’s new bible, Wine Grapes. But I got there first. 1. Zalto Champagne glasses. Oh how I lust after these wafer-thin beauties. Tall, slender flutes just don’t cut it anymore. Diamond-shapes are a fizz-loving girl’s best friend. The price tag may make your eyes water. But each glass costs no more than a posh scented candle. And the glasses should last a lot, lot longer. 2. A bottle of something very special. Obvious for a wine lover, I suppose. But it’s a gift that never fails to please. Champagne is probably too predictable. Um, maybe. The most important thing is that some effort has gone into tracking down a wine that is not on the high street. Perhaps something from new venture The Perfect Cellar, offering what it says are “hard to find high quality / low priced fine wines”. I’m not sure all of the wines are hard to find. A quick glance threw up Mas Amiel Maury 2010, which is also on Slurp. But I was impressed by the wines the team sent me to try. The first was from edges-of-Bordeaux artisan producer Château Tire Pé, whose Les Malbecs I love but is indeed hard to find in the UK. 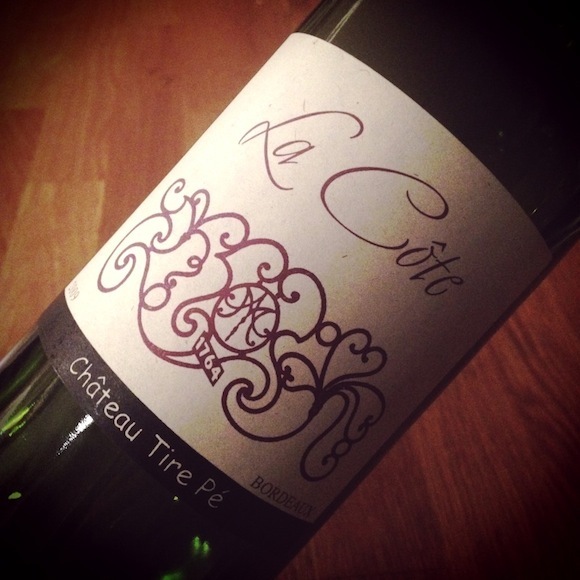 La Côte 2009 £14.99 is a blend of Cabernet Franc and Merlot and, says The Perfect Cellar, “a good value alternative to classified Bordeaux”. It certainly has the structure and intensity you’d expect with classic aromas and flavours of cedar, creme de cassis with a lick of granite and spice. It still feels young and ripped though, and while I like definition in my Bordeaux, I think this would benefit laying down for another two or three years so it’s more like Pierce Brosnan than Taylor Lautner. The second was a smoky, seductive red Burgundy, Domaine Parigot Savigny-les-Beaune ‘Les Vergelesses’ £27.99 packed with velvety raspberries and an earthy mid-palate. Imagine Eva Green or a young Charlotte Rampling as the trimming to your roast turkey. The wine I have my eye on is Nicolas Joly’s Savennières Clos de la Coulée de Serrant 2008, £94.99. Savennières is the Rolls Royce of Loire Chenin Blanc, which can – as Jancis Robinson wrote – “build in bottle to a haunting cocktail of hedgerow and brimfire.” WANT! 3. My card from The Sampler generously topped up so I can go wild on tiny sips of some of the world’s most iconic wines (some are decades old) from the Enomatic machines. 4. 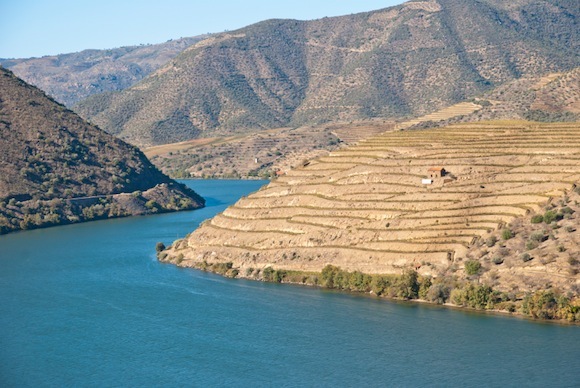 A trip to the Douro Valley in Portugal. Home of port and stunning views. What’s not to like? 5. Christmas dinner cooked by professional chefs in my own home. The trouble with restaurants is that you have to get there and back. Not cheap on Christmas Day if you want to drink. So perhaps I could have restaurant food brought to me. Maybe cooked by Stolen, who specialise in nicking other chefs’ dishes. I was a guest a one of their recent supper clubs, held to promote Bordeaux Wines. They recreated Nathan Outlaw’s chicory tart with walnut and pear salad and deep fried blue cheese, Barrafina’s pig’s cheek on celeriac mash, and cup of tea with brioche sugar lumps and tea sorbet from Jason Atherton of Pollen Street Social. The pig’s cheek was a hit with everyone. The tea dessert was clever and a lot of fun, though some found the tea sorbet a bit tannic. 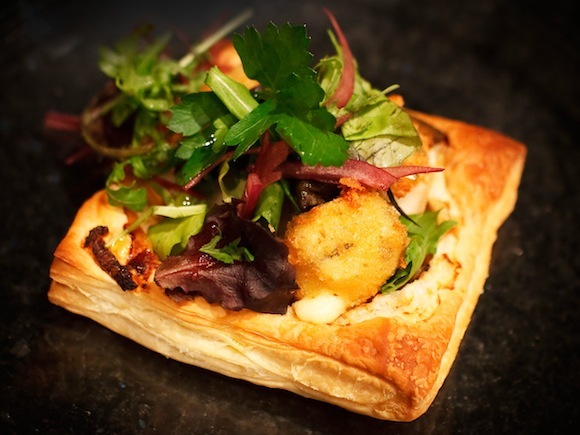 The vibrant colours on the chicory tart just made you want to dive right in – though with the blue cheese, it was a hard wine match. I felt this dish went better with the Doisy-Daëne Barsac (Sauternes) 2005 because of the saltiness of the blue cheese, despite the comparative lack of acidity in this vintage. Take away the cheese and the herby, peach-kissed, cordite, complex Vieux Château Gaubert, 2009, Graves won the day. I liked this wine so much, I’ve just bought some bottles from The Wine Society for £11.95. And I’d happily have Stolen cook for me again. Although, Santa, I suspect I may have left this one a teeny bit late. But see what you can do, eh? * Membership of The Wine Society. £40 for a lifetime membership – which you can pass on. * A one-day introduction to wine. Or a course. But I think try-before-you-commit is a good approach for many. I can’t recommend a particular one simply because it is years since I did one with The Wine Education Service. Which was, in fact, a Christmas present. And look where it led me. Did you get the Zalto Champagne glasses? They look absolutely elegant.